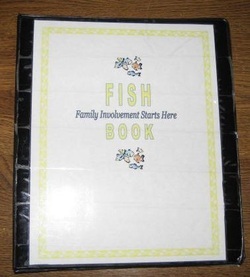 I would like to introduce you to our FISH book. This is a very important part of my teaching because it is a means of communicating with you! As you may have noticed, FISH is an acronym for Family Involvement Starts Here. Your child is required to have this folder everyday. The FISH book is a great way to keep us organised and encourage communication. It will also encourage responsibility in the students. I have supplied all the items in the FISH book at the beginning of the school year. This is how it is organized. 1. Number Chart: This chart is going to be used everyday during our Mathematics lesson. 2. Tricky words: Here you have a list of all the tricky words your child will be learning this year. 3. Phonic Ruler: This handout will help your child with phonics. 4. Homework: The children put the work that needs to be brought back the next day finished. 5. Notebook: This is where the kids put their notebook. 6. Weekly Sotries: Here the children put their stories. 7. Parent/Teacher Communication: You as a parent and I, as the teacher, will put any important notes or communcations in here. 8. Important papers from school: The school issues different circulars and notices. You can find them here. 9. Money: You can put the money for outings in here. 10. Tests: The children will find the spelling tests papers here.